Schools are closed Wednesday, Thursday and Friday for Thanksgiving. 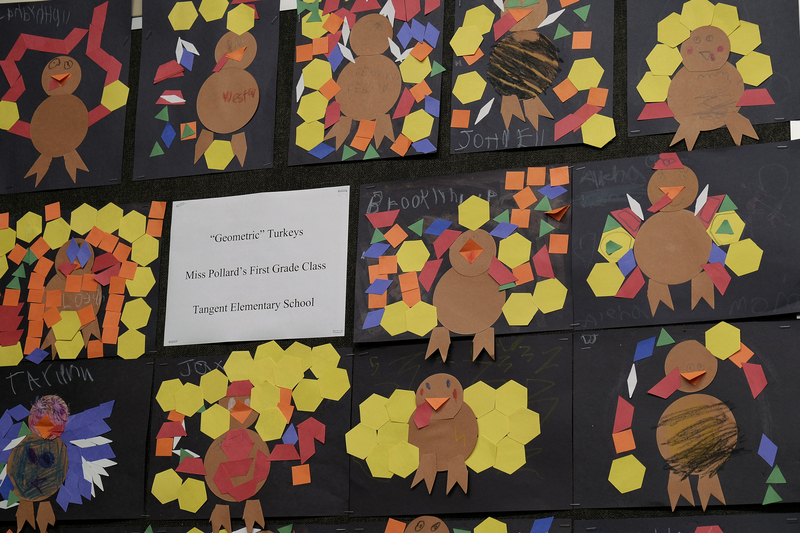 Students at Tangent Elementary School got ready for the holiday break by creating some festive Turkey art, which was displayed in the board room at the District office. 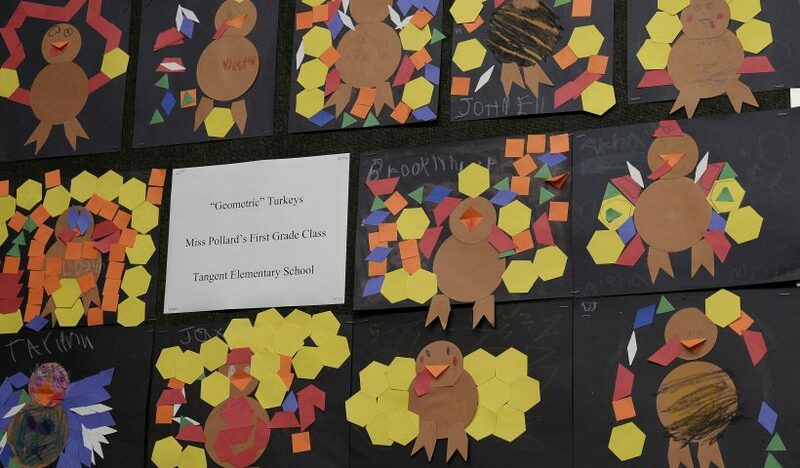 These turkeys are by first-grade students in Miss Pollard’s class.